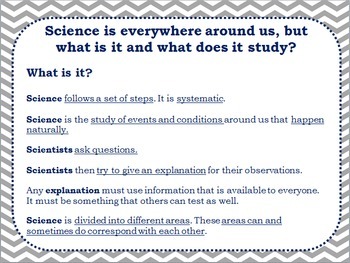 Introduction to Science: What is Science? 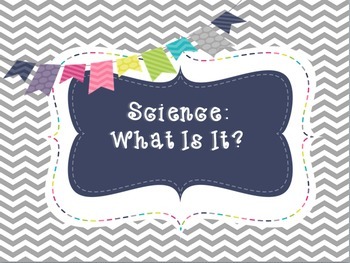 This is a brief introduction into Science. 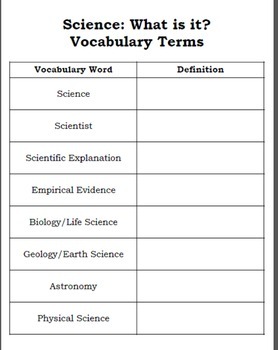 It includes an 8 page power point presentation, with notes for the students to fill in with a key, it includes a graphic organizer of important vocabulary terms with a key, and an extension activity worksheet with key.